In case you missed, Microsoft released Windows 10 build 17074 to the fast ring Windows Insiders, which contains a tons of new changes and improvements to its existing version. 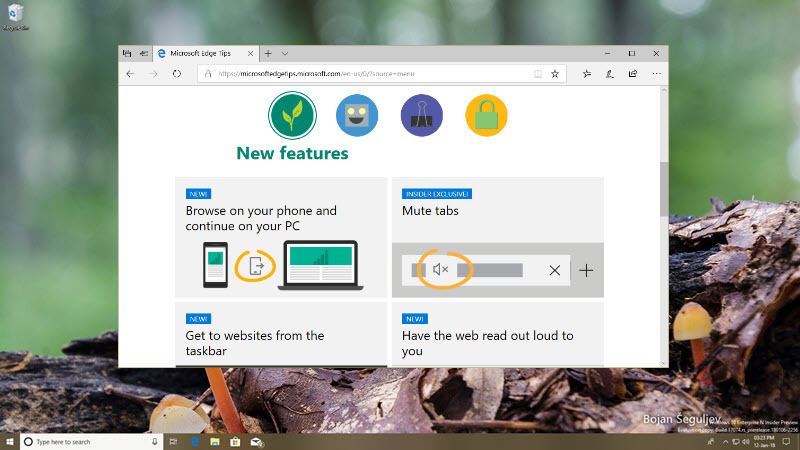 This includes a set of changes to its Edge Browser too. 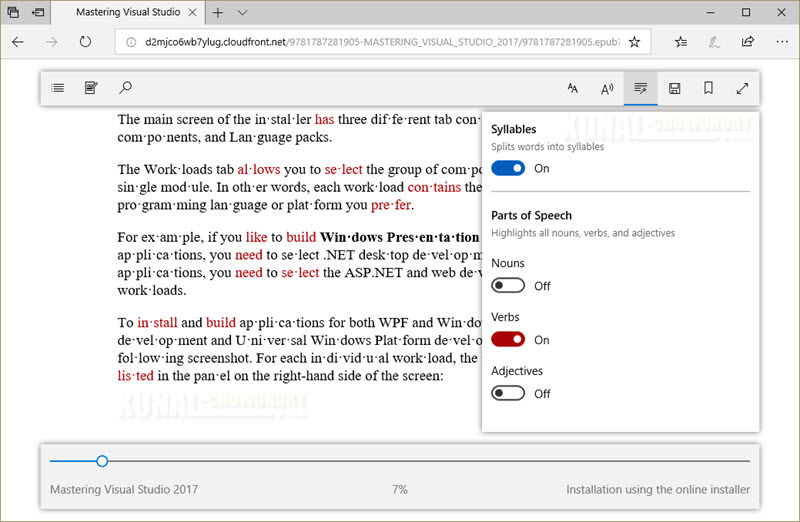 In this post, we will discuss about the changes performed in the latest version of Microsoft Edge that comes with build 17074. 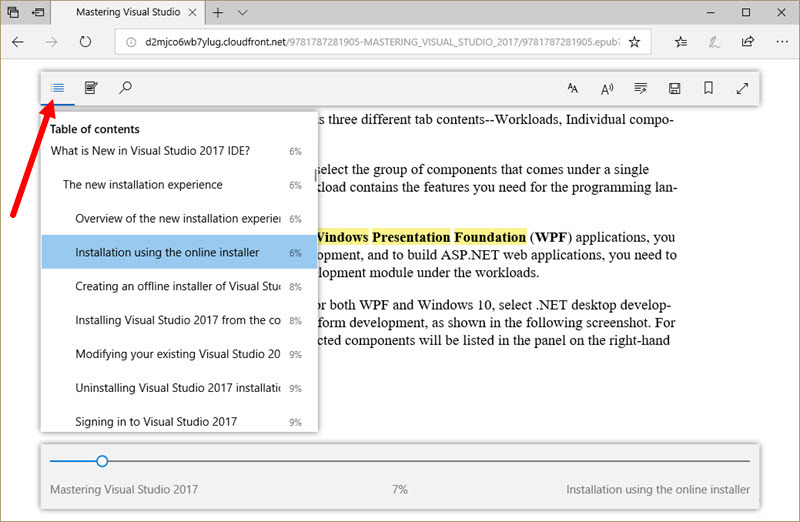 Microsoft has changed the look and feel of the reading experience of EPUB and PDF within Microsoft Edge browser. 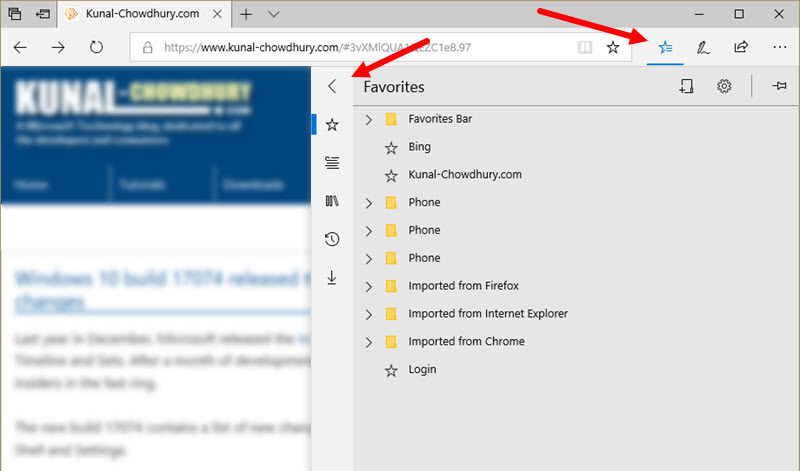 With this build, when you open such files in Edge, it will give you a new reading experience. 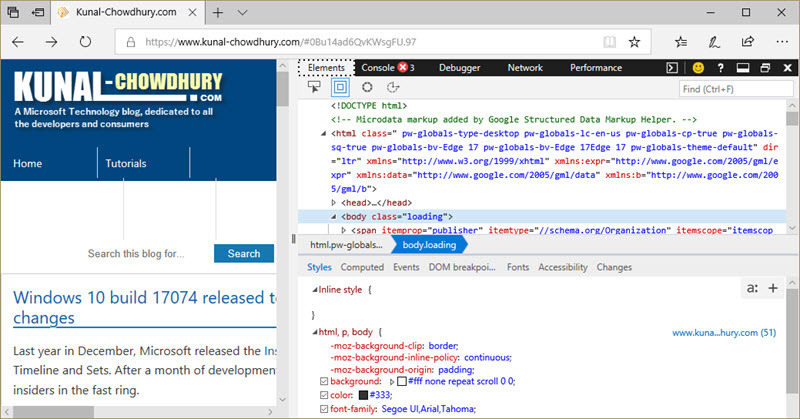 The DevTools in Microsoft Edge can now be docked vertically. You can click the 'Dock Right' button present at the top-right corner of the tools to toggle the location of docking placement. For Store books, reading progress, notes, bookmarks, and annotations will roamed much faster across devices on the same account in near-real-time via WNS. Now, in addition to refreshing your library or pinning books to your Start menu, you can see recommendations for new books or filter expired rentals from the current library view. On supported books, you can now hear the book read aloud with custom narration, with the publisher's chosen style applied. The Favorites Bar will now automatically show on Start and New tab pages, if you have at least one favorite in it. When you choose to never save passwords, you shall never be prompted with a save password notification for that site. You can grant individual extensions permission to run in InPrivate from the options menu for the extension. 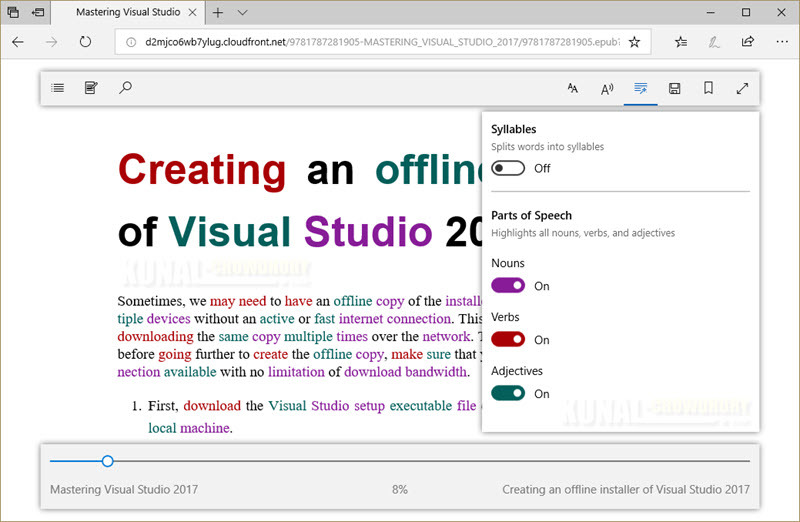 Microsoft Edge now supports CSS extensions for OpenType Font Variations. 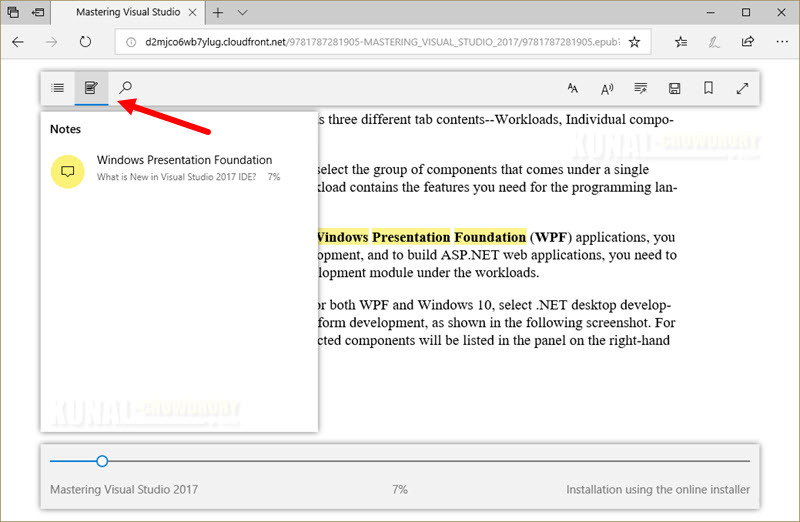 If you have come this far, it means that you liked what you are reading (Microsoft Edge improvements in Windows Insiders build 17074).